Protect and conceal your large shipments with these Bulk Cargo Containers! We have many standard air freight containers available. Bulk Containers make for great master packs for smaller cartons. These containers are very easy to load and unload. They help protect irregular shaped loads. Save money by consolidating several small shipments. Electronic recycling companies use Gaylord boxes to transport Non Hazardous Waste. 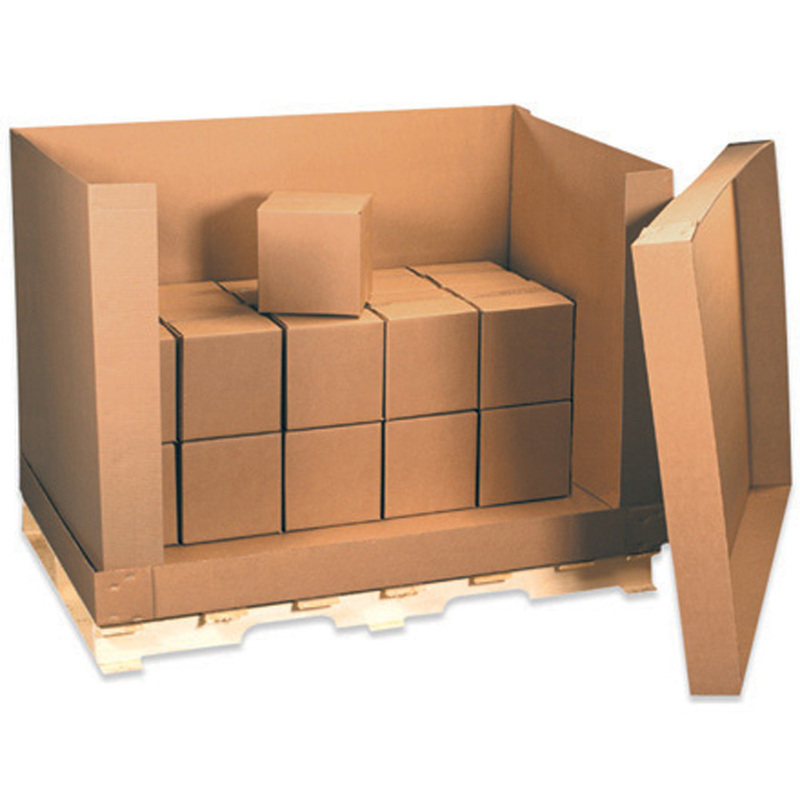 Plastics companies use Gaylord boxes to transport plastic resin or plastic granules for moulding or extruding. Gaylord boxes are commonly used for collecting paper to be recycled. Numerous retail stores use Gaylord boxes to transport clearance items to their outlets. 1|217%22|22%22|28%22|39%22|40%22|41%2230%22|36%22|41%22|47%22|48%22|58%225%22|17%22|22%22|25%22|34%22|36%22|45%22 Select a Category12 Width17"22"28"39"40"41" Length30"36"41"47"48"58" Bottom Gusset5"17"22"25"34"36"45"
58 x 41 x 45 D"